After having to wait nearly a week, the day has finally come for us to take our RV in to get the leak fixed! 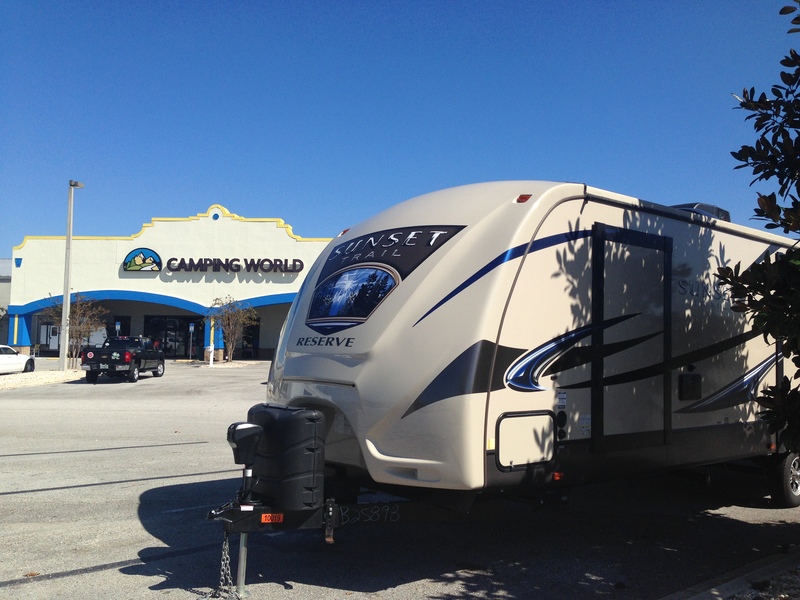 We towed our travel trailer to Florida and handed the keys over to the Camping World in St. Augustine. Dropping our trailer off at the shop was definitely a bittersweet moment. We were thrilled to be getting the leak mended. But, on the other hand, it meant we were officially homeless again until then. Plus, there was something unsettling about leaving our home-on-wheels with strangers. Knowing they would be going through our dwelling and taking it apart felt like a violation. Unfortunately, it was a necessary evil. When you’re living in your RV full-time, any type of maintenance or repairs can be extremely inconvenient and challenging. RVing ain’t easy! With the repairs likely taking weeks, possibly even months, we wanted to make the most of our situation. The best way to do this would be to press on and not delay our journey any more than necessary. We weren’t originally planning on visiting St. Augustine. But, since we were there, we figured we might as well check out the coastal town. Plus, when we discovered that St. Augustine was established in 1565, we knew we couldn’t pass up seeing the Nation’s Oldest City! What’s a better starting point for touring the Nation’s Oldest City than the Oldest House? We like a good theme, so that’s where we headed first. The site of the Oldest House has been occupied since the 1600s. The current house on the property was built in the early 1700s. This is the oldest surviving dwelling in St. Augustine and one of the oldest remaining houses in the country! It’s amazing the things you can learn and places you can see when you’re forced to change your plans. 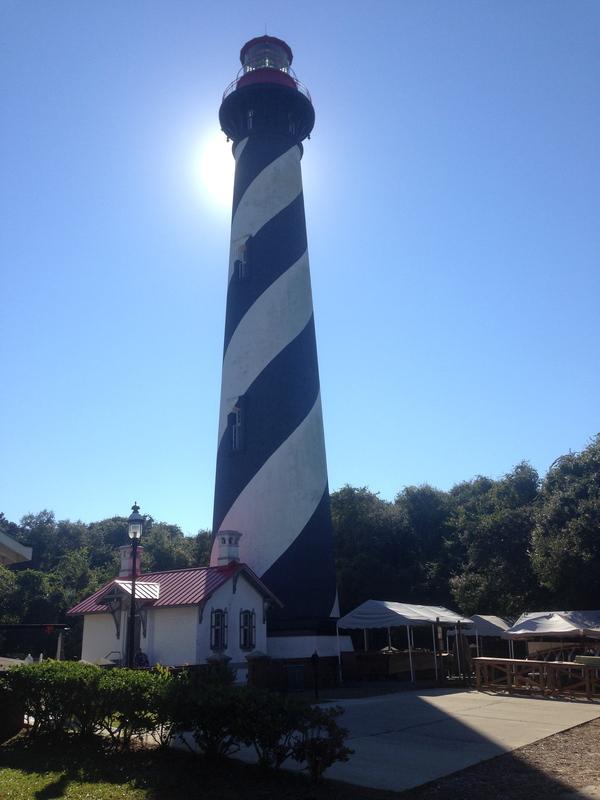 Next, we crossed the Bridge of Lions over to Anastasia Island where we visited the St. Augustine Light. Built in 1874, this working lighthouse is the oldest surviving brick structure in St. Augustine. Supposedly, the property is haunted by several different ghosts! One of the ghost stories involves a Light Keeper who fell to his death as he was painting the lighthouse. However, the most popular story is that of the two daughters of Hezekiah Pittee, the superintendent of lighthouse construction. As the lighthouse tower was being built in 1873, both girls drowned while playing nearby in a supply cart. Visitors have claimed to hear the ghosts of the sisters laughing in the lighthouse. Spooky! We didn’t stick around for the ghost tours. After the lighthouse, we drove a little further south to the beach. St. Augustine Beach reminded us of a larger Tybee Island but with more eateries and parking. We were going to walk out onto the pier there, but there was a $1 charge to access the boardwalk. On principal, we didn’t want to pay just to stroll out over the water. Other than people fishing, there was nothing else on the pier anyway. Perhaps there was a nice view of the beach from the pier, but we’ve seen plenty of amazing views for free. The nearby Aviles Street is another “oldest” as it is the oldest street in the United States. The famous European-style lane is the location for St. Augustine’s Original Art District called Old Town. There is a definite Spanish influence in the baroque architecture of the surrounding structures. The brick-paved side streets, lampposts and potted plants add additional charm to the quaint downtown. And, with a myriad of shops, restaurants, art galleries, museums and Bed & Breakfasts, there is plenty of options for staying busy in St. Augustine. This enchanting coastal town is overflowing with history and character. We still have many more places to explore in Florida, but I’m sure St. Augustine will remain one of our top favorites! With the day over and our RV in the shop, we had to stay in a hotel. This was the first time for Justin to sleep somewhere other than our travel trailer since the night we spent at a hotel in Vail, CO. We missed the familiarity, comfort and convenience of our trailer. But, we’d be lying if we said it wasn’t nice to bathe in a full-size shower with hot water lasting more than 5 minutes. We also enjoyed stretching out in a King-size bed. Meaty liked the King bed too! Leaving St. Augustine and our RV behind, we continued traveling south along the east coast of Florida. Wanting to see Daytona Beach, we made the legendary Spring Break party site our next destination. The drive into the town was somewhat sketchy. Luckily though, the area improved when we reached Olde Daytona, the National Historic District of downtown Daytona Beach. The unique vintage storefronts gave the beach town some much-needed personality. We assumed Daytona Beach would be located on the ocean, but it’s actually divided by the Halifax River lagoon. The beachside portion is east of the Halifax River whereas the mainland section is to the west. In search of the Atlantic Ocean and an actual beach, we drove over the river. The oceanfront Daytona Beach had a couple of miniature golf courses and numerous motels similar to Myrtle Beach. However, one unique establishment we noticed was a Drive-In Christian Church! That was definitely a first! Haha! Other than that though, there didn’t appear to be much else to see or do besides the beach. The water looked nice and is becoming bluer the further south we travel, but I wouldn’t describe the beach as picturesque. There were countless clumps of dried seaweed on the beach, interrupting the stretch of pristine sand. The other interesting thing we noticed about the sand was that there were several cars parked on it. There were even 10 MPH speed limit signs for driving on the beach! This was another first we had seen. Back to the mainland, we kept heading south on the US-1, cut over on the FL-528 and passed through Cape Canaveral. 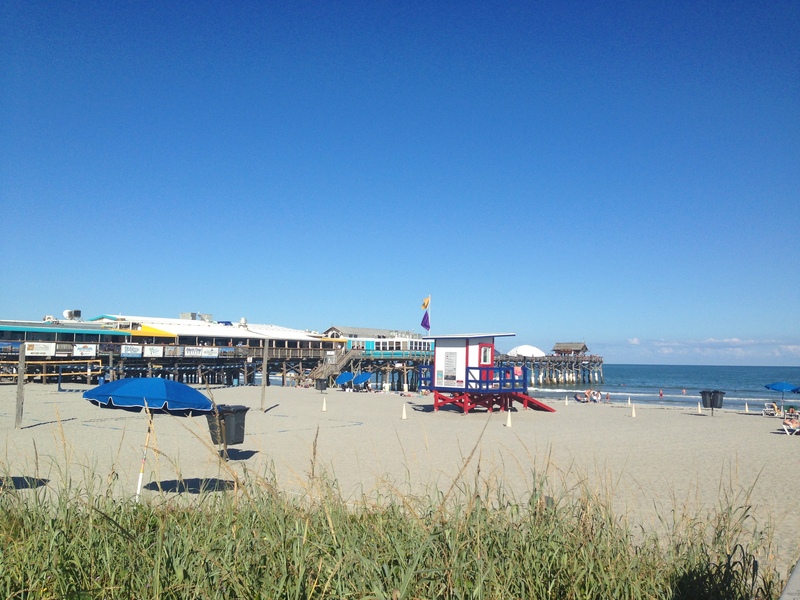 We made a quick stop at Cocoa Beach to check out the pier. This one actually had some commerce and didn’t charge to access it. But, we didn’t stay to partake in any of the bars, restaurants or gift shops because we still had another 177 miles to go to reach our destination of Fort Lauderdale. 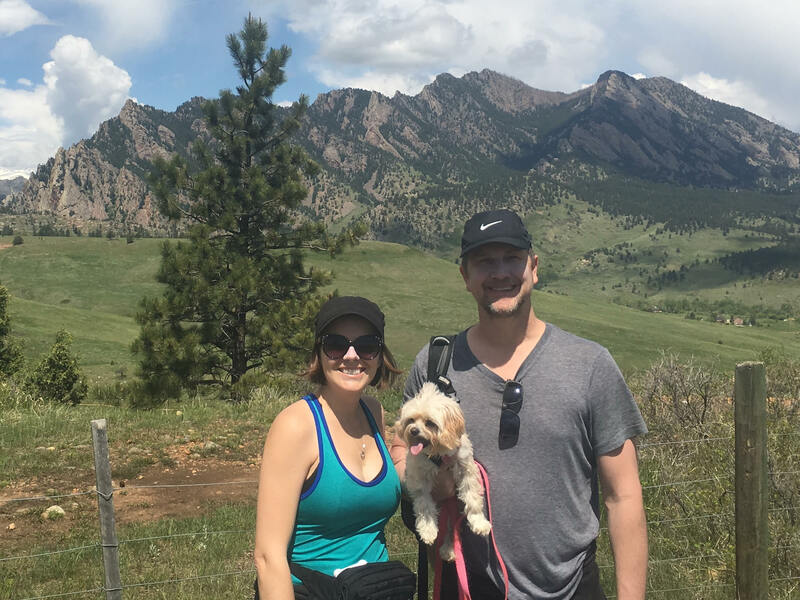 One of the best things about traveling by RV is that we can take the dogs any and everywhere with us. RVing must be the most pet-friendly option for travel and accommodations. The number of hotels that accept pets are quite limited, and most of them charge additional pet fees. Some of the fees are per pet, per night, per stay, or a combination of the three. The pet fees can really add up! We had to pay an additional $50 for a hotel we stayed at on our way to pick up our travel trailer at the beginning of our journey. But we’ve seen as high as $150 extra! There’s no way we would pay that much! 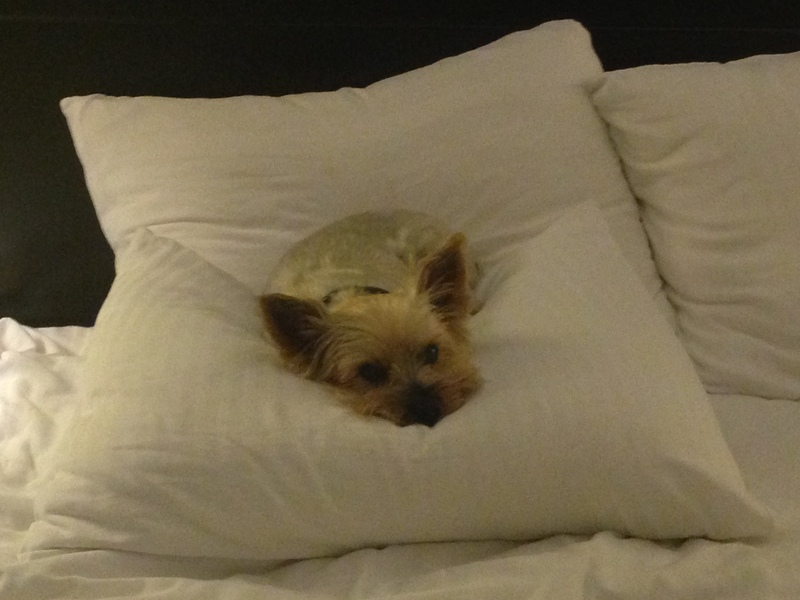 We’ve found that La Quinta hotels can be a good choice for traveling with pets. The keyword is “can” though. The good thing about La Quintas is that all of them are pet-friendly and none of them charge a pet fee, whereas the pet policies of other chain hotels can vary per location. Plus, they offer free WiFi and free breakfast. However, the downside is that they can be hit or miss. The newer or recently remodeled La Quintas are typically pretty nice. However, the older ones can be extremely outdated and not as clean. There didn’t appear to be any decent La Quintas in the Fort Lauderdale area. Fortunately, the Westin in Fort Lauderdale didn’t charge a pet fee, so that’s where we stayed. Glad that the RV was fixed and that you could continue on your journey….have fun!